There are approximately 1,000 inmates, predominantly female, housed at the Estrella Jail. Each housing area contains general-purpose day rooms, and bathroom/shower areas. There are outside areas for recreation. The Estrella Jail has a fully staffed and equipped medical clinic, a non-denominational chapel area for religious services, and three education classrooms where inmates can attend educational, drug rehabilitation, or life-skills classes. For all general jail questions, including bond amount, charges, visitation, inmate book accounts and phones. For immediate help buying a bond with a credit card, bank deposit, wired funds, or using collateral. 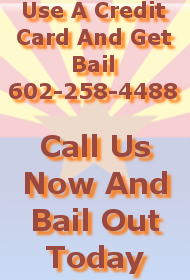 The Estrella Jail Inmate Inquiry is provided as a free service to prospective clients actively seeking bail. This Inquiry is not for the purpose of updating you on an inmate’s release status or for individuals just curious about an inmate’s bail or charges. For those of you that need release status of an inmate, please call the SIMS HOTLINE at (602) 876-0322. Before scheduling visitation with an inmate, confirm that the inmate is still located in the Estrella Jail; call the Sheriff’s Information Management Services (SIMS) at 602-876-0322. Visitation is generally held between the hours of 8:00am – 1:30pm; visitation restrictions may be in effect and schedules are subject to change. Call the Estrella Jail information line at 602-876-0322 for up to date visitation times. You must fill out a Visitation Form, available in the Estrella Jail lobby. You must know the formal first and last name of the inmate. Visitations are limited to 2-3 visitors at once, depending on age. Inmates are allowed three thirty-minute visits per seven-day period. You will not be allowed into the visitation room with personal items such as jewelry, sunglasses, cell phones, wallets, purses, books, etc. If you bring them with you, you will be required to store them in one of the lockers located in the Estrella Jail visitation lobby. Bring change with you. You must have in your possession a valid government issued picture identification card; current driver’s license, immigration card w/driver’s license, or passport. Anyone under the age of 18 must be accompanied by an adult. Childred between the ages of 14 through 17 must have a valid ID card; driver’s license or school ID. Children under 14 years do not need identification. Inmates must release all personal property when requesting a property release. The inmate can release his/her property to anyone they choose including their attorney, public defender, probation officer, bondsman or caseworker. The property release, also known as Tank Order, must be signed and issued by the inmate. The person picking up the property will need to go to the Estrella Jail, where the inmate is incarcerated, pick up the Tank Order, and take it to the 4th Ave Jail where all personal property is stored. The jail will then release the property. Anyone picking up property will be required to provide a valid government issued picture identification card, such as a Department of Motor Vehicles (DMV) identification card/driver’s license that is current and valid. An Immigration card (work visa card, or resident alien card) presented with a DMV card is acceptable. Inmates can release all the money in an inmate account without approval up to 72 hours after booking. Requests for a money release after 72 hours in custody must be approved by the Jail Commander or his designee. Individuals who are arrested and taking Doctor prescribed medications must advise the medical staff upon initial booking of the type and dosages of what they are taking. Medications from home or purchased outside of the jail will not be accepted into the facility for the inmate to use. When a parent or guardian is arrested, the arresting officer will attempt to locate a natural parent or relative, where the child/children can be taken. When no relative is located, Child Protective Services (CPS) will be contacted. Child Protective Service Hotline: is available 24 hours a day, every day of the year, at 1-888-767-2445. If a family member contacts this number looking for Child/Children in custody of CPS, the CPS representative on the phone will take their information. Someone from a CPS office will contact the relative/relatives and meet with them as soon as possible. Money mailed to inmates may be in an envelope addressed to the jail and must state the inmates name and booking number. “FOR DEPOSIT ONLY” must be clearly marked on the outside of the envelope, and be sure to include the “Return Address” on the mailing envelope. Money may be placed on an inmate’s “money account” by mailing to the jail a Cashiers Check (official check), or U.S. Postal or Western Union money order with the inmates’ name and booking number. Also acceptable are checks payable in U. S. funds issued by local, state, and federal government agencies, or by privately run jails or prisons, which are payable to the inmate. The full amount of the check must be deposited to the inmate’s fund account. Do NOT mail cash. A person may also place money on an inmate’s “money account” books by presenting U.S. Currency, Cashiers Check (official check), or a U.S. Postal or Western Union money order with the inmates’ name and booking number to the visitation officer during the regular visiting hours. The person needs proper and current identification. Inmate funds are accepted at any Sheriff’s Office jail for deposit, or visitors may also use the touch pay kiosks located in the jail visitation lobbies. Wet, soiled, or altered forms of money will be rejected. After visitation hours, you may deposit monies at the Bonds and Fines public window located at the 4th Avenue Jail, 201 S. 4th Avenue, Phoenix, Arizona 85003. During the time the window at Bond and Fines is closed, you may also use one of the touch pay kiosk systems locating in various jail locations, or via the telephone at 1-866-355-9593 or via the internet at www.touchpaydirect.com or https://maricopa.touchpaydirect.net. You must provide the inmates name and MCSO booking number. Touchpay kiosks currently accept Visa/Mastercard and funds are usually posted within 1 hour to the inmate’s account. There is a fee for this service.